As you can see by both of these cars, the bases are slightly different. The Aurimat on the right has a stamped Fabbricati in Messico / Hecho en Mexico on the base. 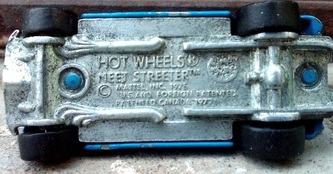 This phrase can be found in the circle directly to the right of the Hot Wheels and Neet Streeter branding. 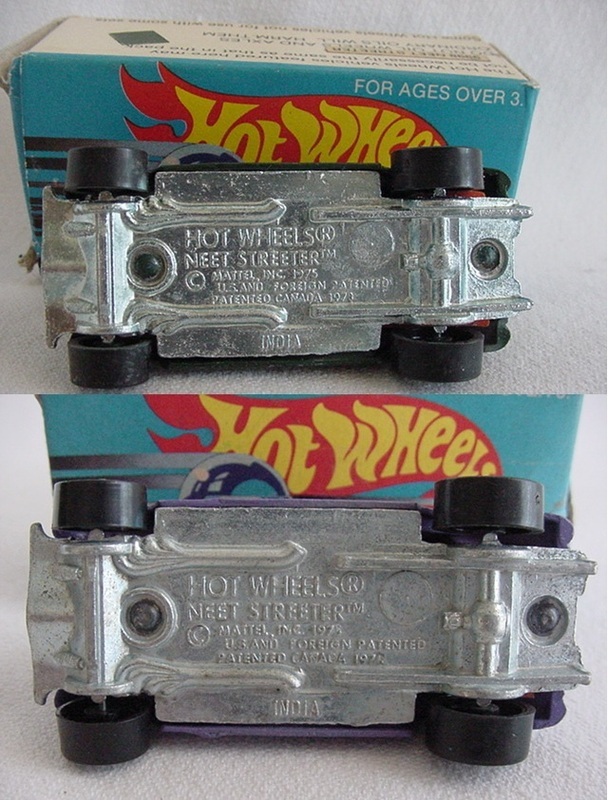 The Leo India version has the same circular spot but without the phrase. The India model also denotes India at the bottom of the base unlike the Aurimat version. Click on either picture to view the bases in greater detail.